If you work in Pennsylvania’s highway construction industry, we want you involved. APC welcomes prime and subcontractors, civil engineering firms, equipment manufacturers and distributors, material suppliers, technology distributors, and all others with an interest in protecting and improving Pennsylvania’s infrastructure. Download, complete & return the membership application. APC will be your ally, helping you to cut through the red tape that delays your projects and decreases your profit margins. Throughout our history we have forged a strong relationship with the Pennsylvania Department of Transportation (PennDOT) and the Pennsylvania Turnpike Commission. APC exists to handle the issues that affect your business. PennDOT APC provides access to PennDOT throughout the year.Opportunities materialize in the form of committee meetings,district-level meetings, and conferences where members and Department employees share information and establish rapport. In fact, PennDOT representatives can be found at nearly every event APC organizes. The association resolves PennDOT-related problems such as prompt payment, risk allocation, and project scheduling through various outlets. Some issues are addressed collectively through joint committees while others are worked out on an individual basis. APC deals with statewide issues through the Department’s Central Office, but also serves as a liaison with 11 districts across the Commonwealth. The association strives to accommodate the needs of members at all levels within PennDOT. PA Turnpike Commission APC works closely with the Turnpike Commission. The association provides liaison services on an ongoing basis; however, most issues are handled at an annual liaison meeting with executives at the Commission. High-level Turnpike employees also serve on various APC committees. APC works closely with the Turnpike Commission. The association provides liaison services on an ongoing basis; however, most issues are handled at an annual liaison meeting with executives at the Commission. High-level Turnpike employees also serve on various APC committees. APC/PennDOT Fall Seminar This annual seminar allows members to interact directly with PennDOT personnel, both from Central Office and the district offices. Information-packed breakout sessions,networking opportunities, motivational speakers, and vendor displays continue to attract in excess of 1,000 registrants and 100 exhibitors to this event. Visit www.apcfallseminar.com for more information. APC/PennDOT District Liaison Meetings APC conducts structured meetings in each of PennDOT’s 11 districts to address local issues. Part of the agenda is generated through a questionnaire filled out by APC members. Where else can you address PennDOT decision-makers with your concerns and get answers on the spot? And if you do not get answers immediately, APC will follow up and get you the results you are looking for. When our members have concerns, we take action. Regional Informational Sessions When it comes to educating members on industry issues, APC often brings the sessions into the backyards of its members. When electronic bidding was implemented, APC conducted training on the new ECMS system across the Commonwealth. When the DBE requirements were increased, APC held sessions across the state to educate members on compliance. The association has also held roundtable sessions on Force Account, Prevailing Wage Law Compliance, and Insurance and Surety Bonding. APC understands that members can not always travel to Harrisburg. The association exists for the convenience of its members. APC Flagger Train-the-Trainer APC has offered Flagger Train-the-Trainer courses since PennDOT announced the requirement in January 2003. In fact, the APC Joint Safety Committee was largely responsible for the creation of a training requirement. The association offers high quality training to its members at a rate that is low by industry standards. APC will furnish you with the critical project information you need to stay competitive. 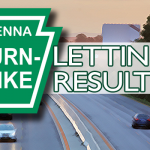 We supply our members with comprehensive, user-friendly electronic information from PennDOT & Pennsylvania Turnpike Commission. PennDOT & Turnpike Project Information Updated information on PennDOT and PA Turnpike projects are available in the member are of the APC website. Special Service Bulletins APC’s staff gathers items from bid packages and groups them by project for Pipe/Underdrain; Guide Rail; and Selective Thinning. We can furnish these bulletins two weeks before the letting date for a modest annual fee. Plans and Proposals APC has been providing bid documents for state transportation projects for decades. Members enjoy the convenience of monthly billing and no hassle ordering. 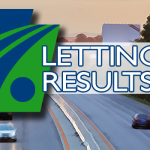 When PennDOT announced that it would provide bid information via the ECMS Web site in lieu of printing and selling the information through the Sales Store, APC stepped in to fill the void. The association maintains a relationship with GANCOM (division of Gannett Fleming, Inc.) to print and deliver plans, cross sections, and existing structure plans to members. 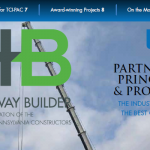 www.paconstructors.org The APC Web site features timely PennDOT and PA Turnpike project information, in addition it provides information on APC committees, publications, and current and archived industry news. APC members can easily obtain registration information on upcoming events as well. APC E-mail Update This e-newsletter will keep you abreast of new developments in the ever changing construction industry. It is a quick read and will keep you in tune with issues pertaining to PennDOT, the Turnpike Commission, state and federal transportation funding, and APC activities. The best part about the Update is that there is no limit as to how many individuals from a member firm can receive it. Between the Lines Fax Newsletter APC members receive biweekly faxes containing timely snapshots of news, activities, and events. The BTL supplements the E-mail Update for our members who prefer a hard copy format. Highway Builder Magazine This glossy, full-color magazine has become a fixture on the desks of approximately 2,500 decision-makers and offers great advertising opportunities. Highway Builder has been keeping the highway construction industry informed for more than 80 years. Published quarterly, it contains articles on such topics as transportation funding,construction technology, workforce development, and safety. Check out Highway Builder online at www.hwybldr.com. PHIA’s E-motion Electronic Newsletter This national award-winning, electronic newsletter produced by PHIA (Pennsylvania Highway Information Association) provides APC members, state and locally elected officials, transportation planners, news media, and other transportation decision makers with information on a host of issues such as state and federal funding, environmental regulations, road and bridge conditions, and work zone safety. 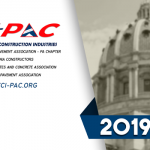 TCI-PAC As the voice of the highway construction industry in Harrisburg, TCI-PAC brings the industry’s issues to the forefront of policymaking. The TCI-PAC Executive Committee formulates a political game plan on behalf of the highway construction industry to ensure an adequately funded road and bridge system in Pennsylvania. The group carries out this mission by educating government officials about pressing issues and forming grassroots networks within member companies. TCI-PAC maintains a good working relationship with the governor, secures positive positions with the Republican and Democratic caucuses in Harrisburg, and supports gubernatorial and congressional candidates.The TCI-PAC has celebrated much success since its inception in 2002. The group is comprised of members from APC, Pennsylvania Aggregates and Concrete Association (PACA), Pennsylvania Asphalt Pavement Association (PAPA),American Concrete Pavement Association-Pennsylvania Chapter (ACPA-PA),and Prestressed Concrete Association of Pennsylvania (PCAP). Learn more at www.tci-pac.org. ARTBA – APC’s Partner at the Federal Level Not only will APC membership give you a voice in the state capital; your voice will also echo into Washington, D.C. APC dues entitle Active member firms to a free membership with the American Road & Transportation Builders Association(ARTBA). Associate members have the option to join ARTBA’s Contractors Division for a reasonable fee. Learn more at www.artba.org.